70 pages made of 100% recycled paper made in Japan! 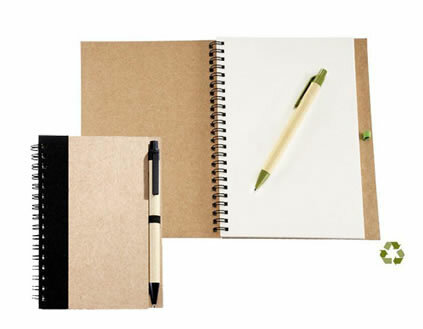 Includes an eco-friendly pen which barrel is made of 70% recycled cardboard. A stylish way to promote your company’s eco-friendly ideas!